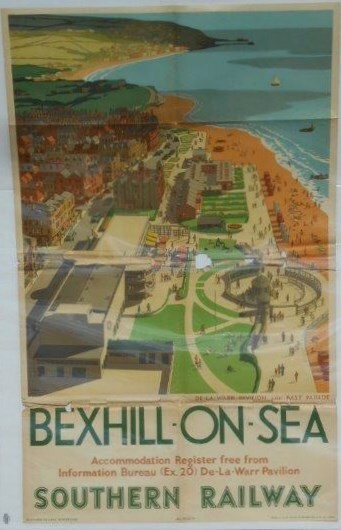 Lot 90 D/R Poster 1947, Southern Railway "Bexhill-on-Sea" by Ronald Lampitt. An aerial view of the De-La-Warr Pavilion and East Parade. Worn folds with a few small losses.